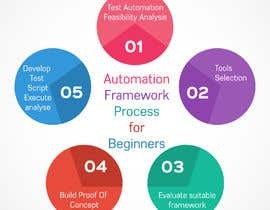 I want to know the whole step from scratch to build an automation framework in my company .. so to bring automation to my company for testing .. what all is a factor and how can i accomplish it .. implement it successfully. There is a lot of automation framework processes. What kind of framework process are you looking for? Can i write a brief writeup and post it as an image file? Is that the company test any software application ? or what kind of product you need to start with test automation ?